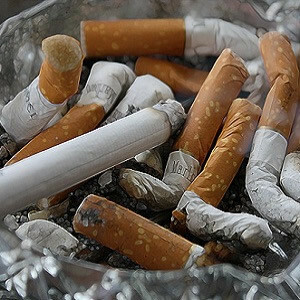 Researchers at The University of Texas MD Anderson Cancer Centre have developed a personalized assessment tool, which can predict lung cancer risk in never, light and heavy smokers. 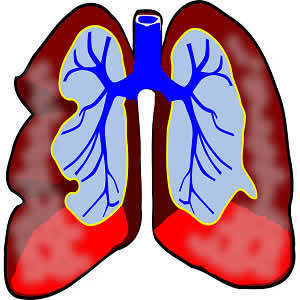 While the majority of individuals diagnosed with lung cancer are smokers, as many as 20% of cases occur in non-smokers. Currently, however, there are no criteria to select high-risk individuals for lung cancer in people that have never smoked. Screening criteria in the United States is based on age and information regarding smoking habits. In addition, it is recommended for individuals between the ages of 55 and 74 with a smoking history of one pack per day for 30 years, whereas light and never smokers are not candidates for screening. However, only one-quarter of lung cancer cases meet the strict screening criteria, thus indicating that there is an urgent need for risk stratification across all smoking types. A study published in the journal Scientific Reports provides an assessment tool that can differentiate risk in never smokers, as well as light and heavy smokers and determine 5- and 10-year risk probabilities for the three groups. Professor Wu, of the University of Texas MD Anderson Cancer Centre, and colleagues analysed a prospective cohort of 395,875 participants (mean age of 40.4 and 52% female) in Taiwan. 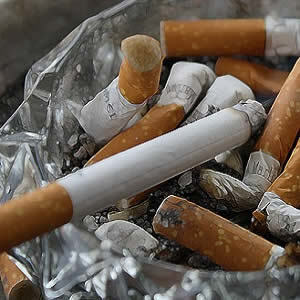 The participants were divided into three groups, namely ‘heavy smokers’ (1 pack per day for 30 years), ‘light smokers’ (less than 1 pack per day for 30 years) and ‘never smokers’. The analyses were conducted after a median 7.3 years of follow-up. Risk factors that were taken into account included gender, age, smoking history, personal and family cancer history, body mass index, a lung function test, and four blood biomarkers. In total, 1,117 cases of lung cancer were diagnosed at a mean age of 60.2. Among lung cancer cases, 47% percent were diagnosed in never-smokers, which constituted 71% of the participants, and 38% occurred in females. The 5-year estimated risk of lung cancer ranged from 0.01 to 15.82% in never smokers, from 0 to 7.39% in light smokers, and from 0.02 to 7.48% percent in heavy smokers. The 10-year estimated risk ranged from 0.02 to 32.97% in the group of ‘never smokers’, from 0.01 to 16.31% in the group of ‘light smokers’, and 0.06 to 18.13% in the group of ‘heavy smokers’. In conclusion, a small number of never smokers have lung cancer risk as high as some heavy smokers. The findings of the current study “highlight varying degrees of risk across each type of smoker, underscoring the need to consider alternative factors when recommending low-dose computed tomography (LDCT) screening for lung cancer.” By incorporating risk factors in addition to smoking history, the model presented here can better classify those in need of lung cancer screening and reduce false positives. The study is the first to develop a tool for personalised risk assessment in never smokers in a large prospective cohort design. Lung cancer, smoking, never smokers, low-dose computed tomography screening, LDCT Researchers at The University of Texas MD Anderson Cancer Centre have developed a personalized assessment tool, which can predict lung cancer risk in never, light and heavy smokers.